Alain Reinhold, is the Founder and Chief Executive Partner of Reinhold & Partners. Prior to setting up Reinhold & Partners, Alain was Executive Vice President and sat on the Executive Board at ADI – Alternative Investments SA (France), where he was appointed Chief Officer for Finance, Administration, and Compliance in November 1999. In 2007, he was appointed Chairman of GEA, a subsidiary of ADI regulated by the AMF and providing investment services to funds of hedge funds. Alain is a Director of several Cayman domiciled funds. Alain is currently involved with a number of regulatory and professional bodies in relation to alternative asset management, such as the Alternative Investment Expert Group for the European Commission, various working groups at the AMF (Autorité des Marchés Financiers) and the Direction du Trésor. He also led the Alternative Investment Group of the AFG (Association Française de Gestion) for several years. Alain contributed to several “Best practices” guides published by the AIMA (Alternative Investment Management Association) and he was invited to speak at the European Parliamentary Financial Services Forum, at the annual conference of IOSCO, and participated in a G7 outreach in April 2007. Between 1988 and November 1999, Alain worked for Banque de Gestion Privée (Crédit Agricole Group) (“BGP”) initially joining the Capital Markets Department before being appointed Head of Internal Audit. He launched in 1992 GIE Transboard, a partnership for administration and risk management between Banque de Gestion Privée and its subsidiaries, Transoptions (market making in options) and Transbourse (stockbroker), where he was Chairman and Chief Operating Officer. During this period, he was a member of the Asset and Liabilities Management Committee. 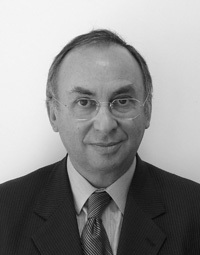 In 1994, Alain was appointed Managing Director of Euro Pacific Advisors Limited, the Asian asset management branch of Banque de Gestion Privée in Hong Kong, where he developed the asset management methodology, the range of products and the client base by initiating a joint venture in Taiwan (AGRI-AM) of which he was a Director and Vice Chairman. Prior to that, Alain spent fifteen years at the head office and in several branches of Banque Nationale de Paris (“BNP”). He also held the position of Company Secretary at Banque Natiotrésorerie, a BNP subsidiary, specialising in proprietary trading on capital markets. Alain is a graduate of the Ecole Supérieure de Commerce de Paris (ESCP). 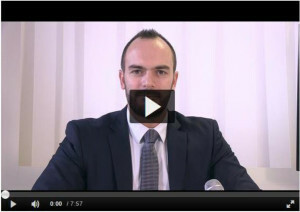 Since 1989 Alain has been a lecturer in risk and asset management at the Université de Lyon II.